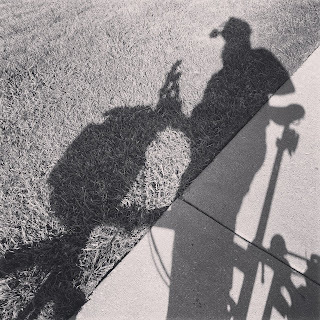 During my last attempt at jogging, I must have lost my beloved Planet Bike Flash red taillight, which was precariously clipped to the back of my jacket. While I was at REI recently, I happened upon the Planet Bike Superflash Turbo, which Rambo helped me photograph. I tested the light out, for its brightness in daylight, while at REI and I was quite impressed. 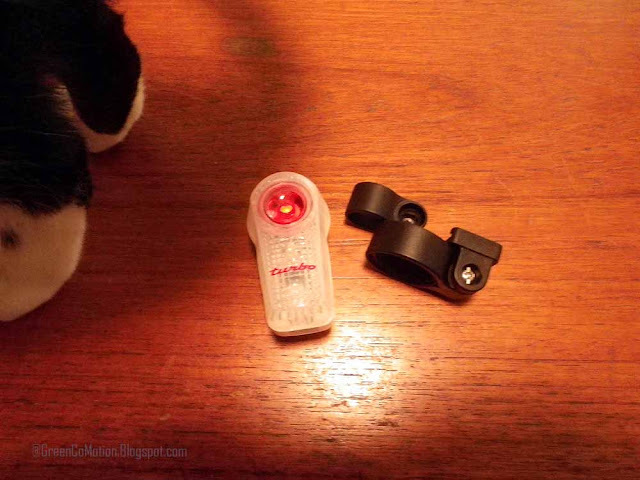 The Superflash Turbo has a 1 Watt LED light plus two red LEDs. It is quite bright and comes with the standard clips and brackets to attach to the bike. I plan to use the Superflash Turbo in conjunction with the Dinotte 140R-AA taillight. 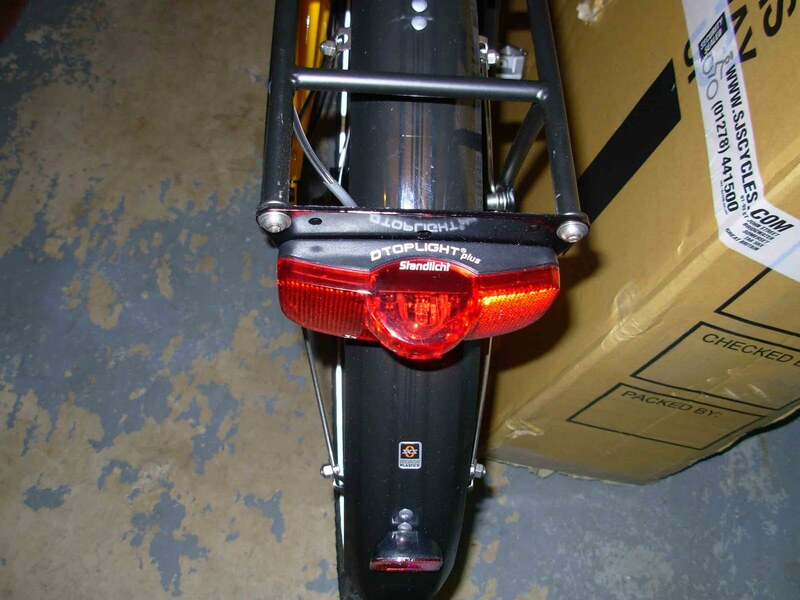 The dynamo-powered taillights I have (Busch&Müller DTOPLIGHT PLUS, Busch&Müller Toplight Line Plus, Spanninga) are not as powerful as the battery powered taillights I have (Dinotte 140R-AA, Planet Bike Superflash Turbo). While some might argue that it is counter-productive to have both systems working at the same time, I feel it is a good idea, especially in my current stomping grounds. Having the battery-powered lights, as a back-up is comforting, just in case the dynamo-powered light's bulb burns-out or something. Here is a cool video from Busch & Mueller that you might like! Oh, by the way, had I wanted to, I could have talked about brightness of lights scientifically in terms of Candles, Lumens, etc. But I want to keep it simple. In essence, the Dinotte is "crazy bright", the Planet Bike Superflash Turbo is "super bright" and the dynamo-powered Busch-Mueller, Spanninga lights, that I have talked about in this post, "very bright/bright enough to be seen". Hope your weekend was a fun one!